The return of Pink Beanis a good news for MapleStory players. The update has been released along with the addition of one new skill from May 11. 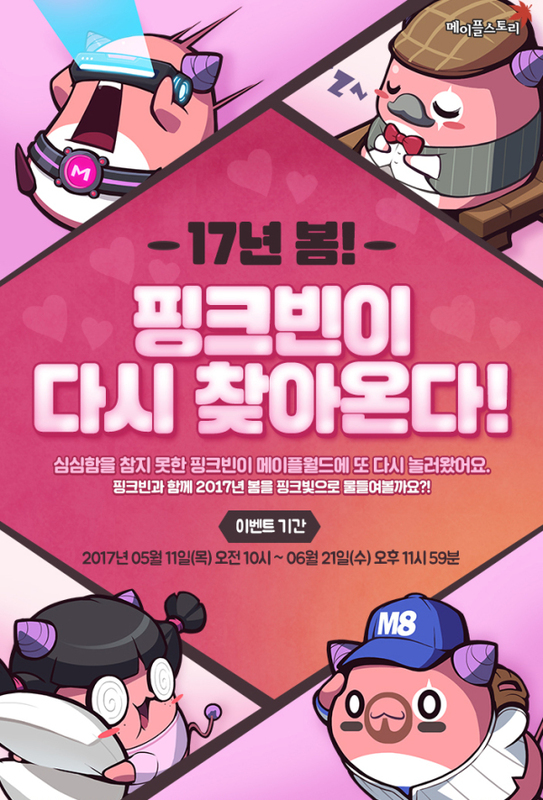 According to MapleStory site, the Pink Bean event runs from May 11 to June 21. You can create a Pink Bean character during this event. All Pink Bean characters will be deleted after June 22. Instead of regular Elite Monsters, some of Maple World's adventurers who are being controlled by Black Bean will appear and attack Pink Bean. You can see most of the adventurer Elite Monsters here. Most of them are named after jokes and stuff and use relevant skills, like this one named Janffy who uses Fist Enrage. The new skill of Pink Bean is called Pink Bean's Tutu! It is unlocked at level 175. With an interest in ballet, Pink Bean puts on a tutu and spins around to attack enemies. You can move and will be invincible while using this skill. If you use it for a certain period of time, the damage, attack range, and movement speed will increase. Plus, Pink Bean's Secret Diary is a set of 30 missions that you can complete on your Pink Bean character. The first 24 are the same as before and only the secret missions have been changed. Each mission has a reward that you can claim on your Pink Bean as well as one you can claim on any other character in the same world. Generally, Pink Beans cannot trade with other characters. This includes regular trading, storage, hired merchants, Maple Auction, or the Meso Market. Other characters will also be unable to see any items dropped by Pink Beans. However, if you get your Pink Bean to level 100, you can go on any other character in the same world and claim the Pink Bean's Giftbox which can be traded through the account once. By the way, Nexon America is holding a "MapleStory X Re:ZERO" event that including the massively multiplayer online role-playing game MapleStory and the 2016 light novel anime series "Re:ZERO – Starting Life in Another World". MapleStory X Re:ZERO gives players daily quests inspired by the popular anime to help Emilia understand Maple World while earning gift boxes and new player titles. The game concludes on June 7.